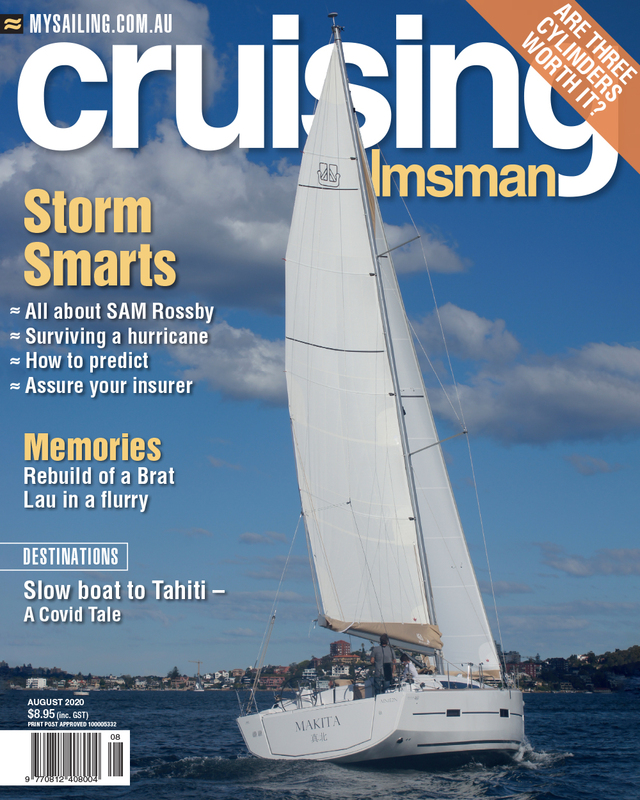 WE are channelling the festive season in this month's issue of Cruising Helmsman. Not only does it include the annual Editor's Christmas Wish List but the bumper issue has an excellent article about one couple's harrowing trip through storm and stillness over the equator during Christmas and New Year. While being a little nostalgic we take the Lagoon 42 out for a test spin to see if this two year old design can still mix it with the younger catamarans of its class. Spoiler alert? Nah, you can read it all for yourself. In these warmer months we also like to focus on a cooler destination and it does not get much cooler than Tasmania. We have two articles that ought to get the cruising feet itching. On the practical side, we look at the two most popular production yacht engines from Yanmar with an in-depth comparison as to why they are different and which is better. Plus one yacht owner decides to upgrade his soft dodger on his Hunter centre cockpit with his home made hard top dodger. You can do it too. Until January, safe sailing and happy holidays.